Each country or nation has its own Sign. Every party contests elections in its own emblem. Not only institutions and communities, but even individuals make their own labels or emblems. The emblem proclaims what the community or association or institution or person stands for. Mar Toma Margam also has its own emblem or symbol and it is the Mar Toma Sliba (St. Thomas Cross). Ancient documents testify that this typical cross was venerated in all the churches and chapels of the St. Thomas Christians. The original model of it we come across in the chapel on Periyamala, Madras. It is the cross carved on granite stone. 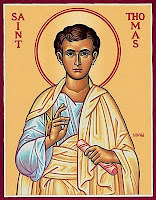 According to an ancient local tradition, St. Thomas the apostle fell dead as a martyr on this particular granite stone. The faithful kept it sacred and at a later stage the typical cross was engraved on it. Modern scholars fix the date of engraving somewhere around 650 A. D.
In the 16th century, as the western missionaries were digging the ground to reconstruct the chapel on Periyamala they happened to come across this special Cross. When the construction of the chapel was over, they fixed it to the rear wall of the main altar. It remains there to the present day. On the 18th of December 1558 during the Gospel reading at the Holy Qurbana, this Cross sweated blood and water. According to the testimony of the missionaries, the miracle was repeated for many years on the same date and in the same manner. They informed the Pope, of this miracle and obtained permission from him to celebrate December 18th as the feast of Mylapore Cross’s apparition. "December 18th is a big feast day for the Mar Toma Nazranees. 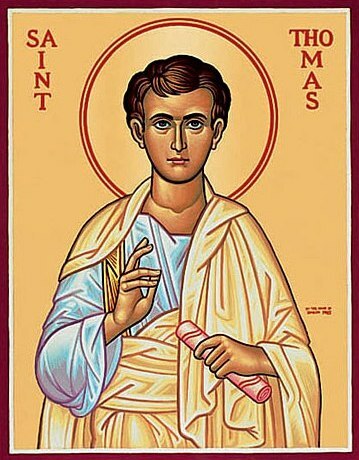 It is the feast of Mar Toma Sliba, the unique and unparallel Symbol of Mar Toma Margam, their special Christian life-style. They ought to celebrate this feast most solemnly wherever they be." 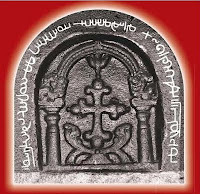 Mar Toma Sliba (St. Thomas Cross) is the dynamic symbol of the death and resurrection of Jesus in the Indian context. It proclaims the Theological, Christological, Pneumatological and Ecclesiological specifications of Christian faith. Mar Toma Sliba is an empty Cross, namely, a Cross without the dying figure of Jesus Christ. In imitation of the empty tomb, this empty cross symbolizes the resurrection of Jesus. The four tips of the Mar Toma Sliba are designed like blooming buds. Bud is a symbol of new life. New life is restored to man in Jesus’ resurrection. Thus the shape of this cross itself proclaims the resurrection of Jesus. The Holy Spirit that descends upon the Mar Toma Sliba is yet another symbol of resurrection. As St. Paul teaches, Holy Spirit transforms Jesus’ flesh-body into Spirit-body and thus vivifies the dead Jesus Christ (Rome 8, 11). According to several scholars this particular Cross is erected upon lotus. Although it is not proved beyond doubt, a Chinese cross, erected on a lotus flower, coming from the same era, is a very good substantiation for the assumption of the scholars. Lotus, being the symbol of Buddhism, had turned out to be India’s own symbol because of the influence of Buddhism in India, during and immediately after the reign of the great Emperor Asoka. Thus the Sliba erected on lotus, is a living symbol of faith in the risen Jesus, established in India. The lotus in the Mar Toma Sliba remains over three steps. The symbolism of steps is evolved in connection with liturgical tradition. The three steps signify either heaven or Calvary. In our case the stress is on Calvary and thus they signify the death of Jesus. 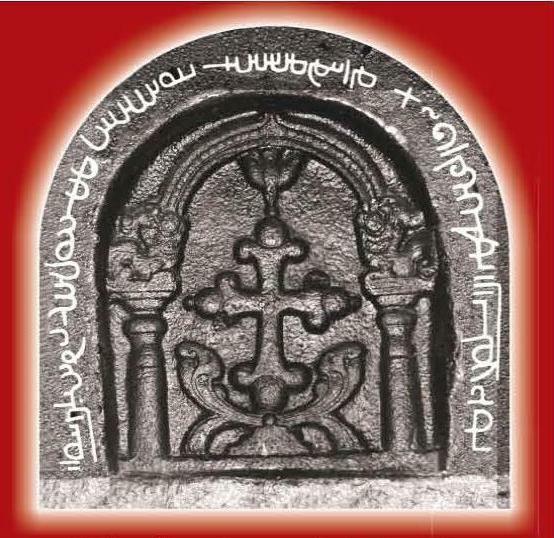 "Thus Mar Toma Sliba remains a unique symbol that proclaims the acceptance of Jesus Christ, who accomplished the human salvation through his death and resurrection, in our motherland India." Ancient models of Mar Toma Sliba are also found in the Jacobite churches of Kottayam and Kadamattam, and adjacent to the Syro-Malabar churches of Muttuchira and Alangad, all in Kerala. According to the famous western historian Antonio de Gouvea, this typical cross was venerated in all the Thomas Christian churches and chapels before the arrival of European missionaries in India. Mar Toma Sliba, being the unique and lofty symbol of Mar Toma Margam, and being a perfect expression of one’s own commitment to Jesus Christ, must have a solemn position in every family, institution, church and chapel of the Mar Toma Nazranees. Have we succeeded in fulfilling this noble task?